In the relatively new field of Decision Science we work to collect data and develop tools for knowledge creation to better understand energy related occupant behavior in buildings. 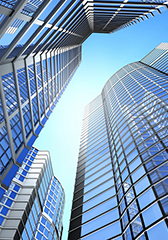 Doing so enables building owners to save money and energy by studying occupant behavior. This data can then be shared with policy makers and government officials as well, to ensure building optimization. We provide the data to contribute to codes and standards, such as California building energy efficiency standards Title 24, ASHRAE standards 55, 62, 90 and 189 via ASHRAE MTG.OBB (Multi-disciplinary Task Group on occupant behavior in buildings), and ASHRAE Handbooks. 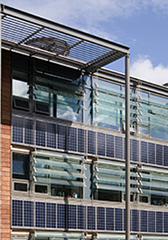 Currently, there is public concern over the significant amount of energy consumed by the buildings sector, e.g. 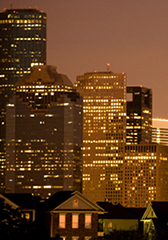 40% in the U.S. and about 30% worldwide, with occupant behavior (OB) being a key contributor. Often a disproportionate amount of attention is directed towards upgrading system or technological efficiency, resulting in an insufficient understanding of the impact of occupant behavior on building systems design and energy retrofit. This limited understanding often leads to inappropriate, overly simplified, modeling assumptions producing inaccurate expectations of building energy performance. The traditionally low priority placed on occupant behavior research, has resulted in large discrepancies in building design optimization, energy diagnosis, performance evaluation, and building energy simulation. Additionally, there is a lack of consensus in common language, experimental design and modeling methodologies within the OB community. Our research approach follows three thematic areas shown in the human-building interaction energy behavior loop. On the data collection front, data driven techniques such as real-time remote sensing to investigate occupants' interaction with building technologies is at an all-time high, with more data on occupant actions collected than ever before. On the analytical and modeling front, advanced statistical, data mining, and stochastic modeling methods are being developed and applied to extract behavioral models from the experimental data. An ontology to standardize the representation of energy related occupant behavior in buildings has been developed. 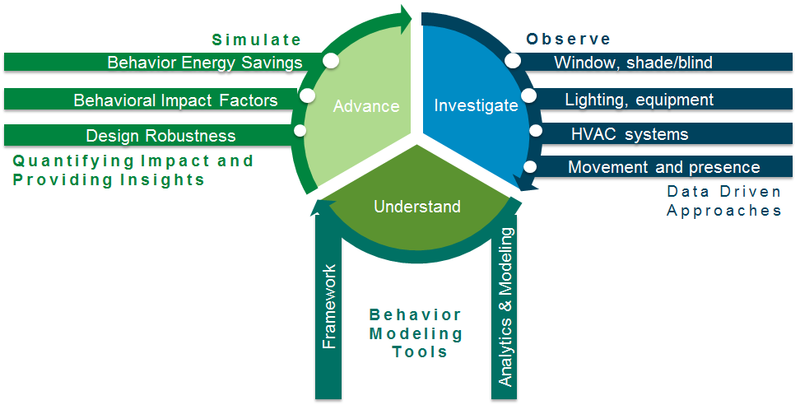 The combination of observation and modeling aspects will subsequently help to improve simulation techniques to quantify the impacts of the energy-related occupant behavior and to provide insights towards energy saving behaviors and robust architectural design. To contribute to codes and standards, such as California building energy efficiency standards Title 24, ASHRAE standards 55, 62, 90 and 189 via ASHRAE MTG.OBB (Multi-disciplinary Task Group on occupant behavior in buildings), and ASHRAE Handbooks. Occupancy Simulator: A web application for simulating occupant presence and movement and generating occupancy schedules for individual space and occupant considering diversity and stochastics of occupant activities. Occupant Behavior Representation: An ontology based on the Drivers-Needs-Actions-Systems (DNAS) framework and an XML schema, obXML, to standardize the representation of occupant energy behavior in buildings for building performance simulation. Occupant Behavior Modeling Tool: An ocupant behavior modeling tool, obFMU, which redefines, in a more realistic fashion, occupant behavior inputs and co-simulates with EnergyPlus and ESP-r to capture impact of occupant behavior on the energy performance of buildings. Occupant Behavior Case Studies: Several case studies identified and quantified how occupant behavior impacts technology performance, and life cycle of buildings: design, operation, and retrofit. We collaborate with researchers worldwide under the IEA EBC Annex 66 project (annex66.org), and U.S. universities and industry under ASHRAE's Multidisciplinary Task Group on Occupant Behavior in Buildings (MTG.OBB). We also collaborate with Tsinghua University under the U.S.-China CERC-BEE program (cercbee.lbl.gov). Please visit behavior.lbl.gov for details of this research, tools, and publication list.